A report from the University of Pennsylvania analyzes the changes in the public elementary and secondary school teaching workforce since the 1980s. The report, first published in 2014 and recently updated, finds that public school teachers are predominately women, and have become increasingly more so over the past few decades. 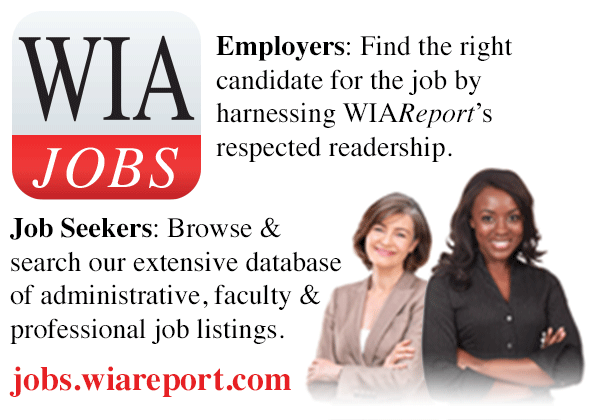 In 1980-1981, women represented 67 percent of public school teachers. That percentage increased to 76 percent during the 2015-2016 school year. When we break the data down by school levels, women represent 59 percent of secondary school teachers, 73 percent of middle school teachers, and 90 percent of elementary school teachers. Additionally, the proportion of all employed women who serve as public school teachers has increased from 3 percent to 3.9 percent since 1988. While women have continued to become increasingly prominent in the teaching workforce, the authors also note that there has been a sharp increase in women who serve as public school principals over the last 30 years. In 1987-1988, women represented only 31 percent of all public school principals. In 2015-2016, that proportion rose to 54 percent. When we break the data down by school levels, women represent 33 percent of secondary school principals, 46 percent of middle school principals, and 68 percent of elementary school principals. The authors attribute these rises in the percentage of women in public school education to the overall increase of working women over the past few decades. From 1988 to 2016, the number of employed women in the United States increased from 55 million to 74 million. The authors also believe that the high number of women teachers could be due to the “workable fit between the job of teaching and the job of child rearing.” For example, benefits such as shortened days and summers off, may be appealing to working mothers. 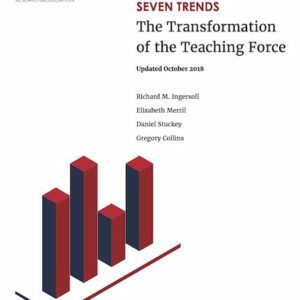 The full report, Seven Trends: The Transformation of the Teaching Force, may be accessed here.